There has been a definite lack of untainted colour cosmetics coming out of the UK. Certainly anything remotely on par with what has been coming out of France, America, Canada and Australia for the past few years. But that is about to change! AINSEL (stemming from the old-English, meaning "myself") has hit the fashion capital. They launched this summer, with a capsule collection of 8 season-less matte lipstick shades named after fashion/wardrobe staples; "mini", "white-tee", "button up" to name a few. This issue is all about culture, and this brand is a true reflection of London, its fashion culture and honours our uniquenesses. Founded by a millennial girl-gang, the brand oozes coolness and modern beauty ideals: Individuality, self-love and core essentials. Their London lab produces hand-crafted batches with natural waxes and untainted ingredients. So yeah... they are cruelty-free and food-grade, but no, they are not organic and they are not making that claim. Oh, and when they say matte... they mean matte! A makeup artists dream formulation. Bold, vivid, fun colours that stay put and fit into your handbag, just like a well-behaved pink pet toy-pom (or other handbag sized dog of your liking). "Sarong - A tropical coral red that hints at that coast life, the Sarong lipstick is a hot-weather favourite." Their packaging is on point! The lipsticks come in a clear capsule that allows you to see the inner mechanics of how a lipstick bullet works, not mention easily identify the colour you're after or simply inspire you to add it to complete your ensemble. It also highlights the brand's transparency. They have reduced redundant packaging by sending your purchases into you in a bubble (AIRSEL) - you simply pop it and retrieve your items and pop the packaging in your recycling bin! I also have it on good authority that if you reach out to AINSEL via Instagram, you can arrange to send back your empty lipstick bullet and they will refill it for you (it does have to be the same colour though). Neat huh? Millenials after my own heart. Following in the footsteps of Bite Beauty, AINSEL are bringing the UK its very own Lip Play service, except it's all digital. We cannot wait for this to launch. Partnering with The Shine Project - a UK charity that provides support and friendship to teenage girls. The organisation equips them with the most valuable knowledge – that all of us are valuable, beautiful, loveable and unique. 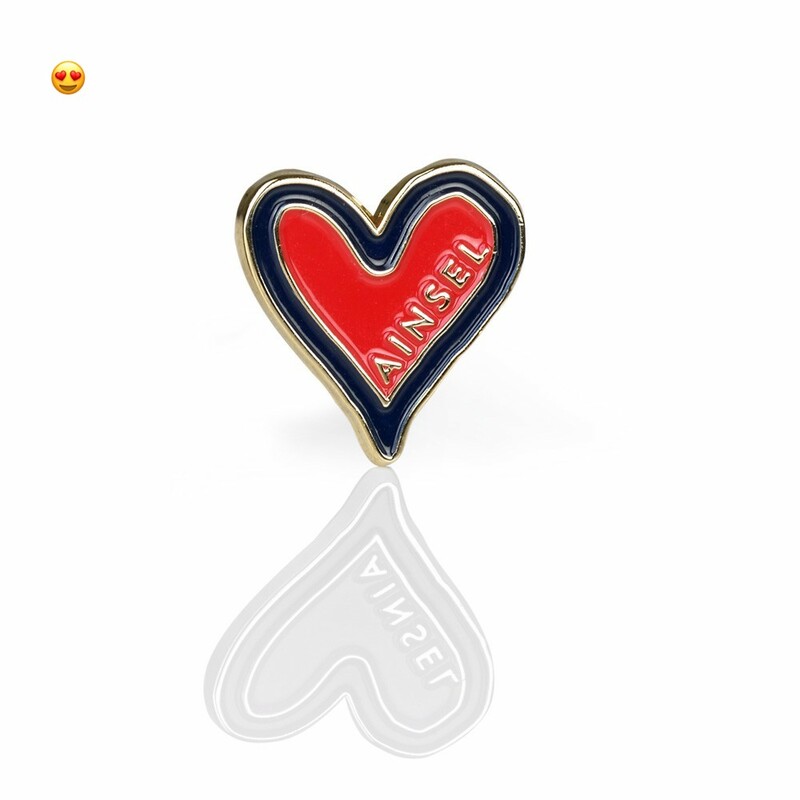 So every time someone purchases one of these snazzy badges through ainsel.com, the proceeds will go to supporting the next generation of beautiful, unique, switched-on young women. But AINSEL are just about to launch their autumn collection, so no excuses to be sad! 6 Stunning new shades, coming very soon! what to get your hands on your very own wardrobe staples? use code allby_my_self at check out for a 20% discount when you purchase two or more items AND free shipping! Their lipsticks are gluten free, however they do contain soybean phospholipids, so if you do have a severe soy allergy, approach with caution.